Uniacke Estate Museum Park is a rare example of an early 1800s house and landscape that have changed little since they were developed. The Estate is also one of the few remaining examples of the English Landscape Garden design (a fashionable gardening style) from Colonial British North America. Richard John Uniacke chose his property for its strategic location alongside of Lake Martha and for its close proximity to the well-traveled road connecting Halifax to Windsor. The route known as the Old Post Road is a significant part of Nova Scotia’s history. It originated as a Mik’maq portage route which European settlers then used as a stagecoach road for carrying mail in the early 1800s. At that time it was wider, about 18 feet. Later, this route became Highway #1, a name retained to the current day. Although in certain spots the present day Highway #1 travels a slightly different route than the stage coaches did, visitors can still walk along an extensive portion of the same road that passed by the house in 1813. The Post Road Trail is one of seven Uniacke Estate hiking trails visitors can enjoy. Uniacke set out to establish a country estate that would signal his prominence and career success to travelers on the road to Windsor. 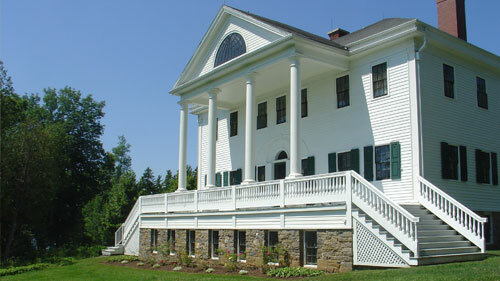 Many upper class people were establishing country estates in Windsor which was becoming an important commercial town with a major port, rich agricultural lands and a protective military presence.Entering Uniacke Estate Museum Park today, along the former stage coach route, visitors can still experience the same striking presence Uniacke House had when it was built. In the 1800s, travelers would have emerged from a long, rough ride through undeveloped, dense wilderness into the spectacular daylight of this well-groomed estate with its beautifully landscaped vistas. Approaching the front of the house, with its stately pillared portico, visitors would have been impressed by the beauty and grandeur of the place. Making an impression is what Uniacke intended, and, even now, nearly two centuries later, the same sight can take one's breath away. 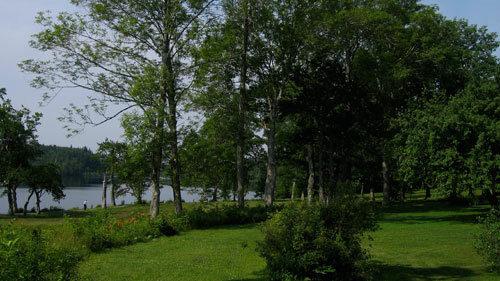 Uniacke acquired the initial 1, 000 acre land grant in 1786 which included a farmhouse and frontage on Lake Martha. He continued to add to his estate over a period of more than 25 years. By 1819, the massive property included 11,340 acres, or about 4,590 hectares. Today's estate is smaller at 930 hectares, but the property remains an expansive one that is home to a variety of wildlife, diverse habitats and distinct geological features, including the drumlin hill, lakes, bogs and forests. 1786: The original 1,000 acre grant at Mount Uniacke included a farmhouse and frontage on what Uniacke called Lake Martha, but it did not include the site where the house, barn, and other outbuildings would eventually be built. 1787: 2,700 more acres were acquired in four transactions. 1796: 500 acres were acquired. 1813: A 400-acre property and several parcels of land totaling 2,540 acres were bought from the estate of Charles Morris, who had been Surveyor General. One of the parcels would be the site of the grand house. Building began that year. 1815: A 200-acre parcel was the last land purchased for the estate. 1819: Uniacke received an additional 4,000-acre land grant.